An investigation of identity formation in children's literature, this book brings together children s literature and recent critical concerns with posthuman identity to argue that children s fiction offers sophisticated interventions into debates about what it means to be human, and in particular about humanity s relationship to animals and the natural world. 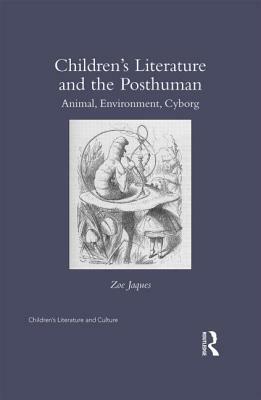 In complicating questions of human identity, ecology, gender, and technology, Jaques engages with a multifaceted posthumanism to understand how philosophy can emerge from children's fantasy, disclosing how such fantasy can build upon earlier traditions to represent complex issues of humanness to younger audiences. Interrogating the place of the human through the non-human (whether animal or mechanical) leads this book to have interpretations that radically depart from the critical tradition, which, in its concerns with the socialization and representation of the child, has ignored larger epistemologies of humanness. The book considers canonical texts of children's literature alongside recent bestsellers and films, locating texts such as Gulliver s Travels (1726), Pinocchio (1883) and the Alice books (1865, 1871) as important works in the evolution of posthuman ideas. This study provides radical new readings of children s literature and demonstrates that the genre offers sophisticated interventions into the nature, boundaries and dominion of humanity.